A firefighter died after battling a five-alarm fire in Worcester Sunday morning, officials confirm. Christopher Roy, 36, died following the fire that broke out on Lowell Street around 4 a.m., according to Worcester fire officials. 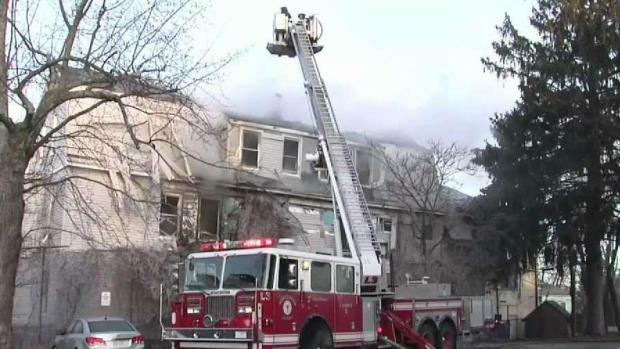 "Fire crews were heroic in their efforts to rescue their colleagues under extreme conditions," said Chief Michael Lavoie of the Worcester Fire Department. "Every person on the fire ground gave 110 percent to try and rescue the firefighters who were in danger." Roy was assigned to the Webster Square Fire Station and served with the department for two and a half years, according to the department. Roy, who lived in Shrewsbury, leaves behind a 9-year-old daughter, his parents and a brother, according to Worcester fire officials. An eyewitness told NBC10 Boston that he remembered seeing two firefighters who appeared to be trapped inside. He said that they broke a window and got out of the building and were using oxygen masks. "Conditions deteriorated rapidly, with heavy fire forcing several firefighters on the second floor to evacuate," Lavoie said. "With the assistance of other crews and the rapid intervention team, five firefighters escaped over ladders." Roy and another firefighter were transported to a local hospital where Roy succumbed to his injuries. The other firefighter is in stable condition. "Firefighter Roy paid the ultimate sacrifice last night doing what he always wanted to do, helping people and saving lives," said Worcester Mayor Joseph Petty. Residents of the building told NBC10 Boston that there was a party in the residence last night, though the cause of the fire is still under investigation. A firefighter was killed after battling a fire in Worcester Sunday. The owner of the burned home, Richard Rawson, said there are six units in the building and about 20 residents. Many of the residents, he said, are now without a home. "I'll take care of these people the best I can," Rawson said. "They're all very nice people. All my tenants are so nice." December has proven to be an especially tragic time for Worcester firefighters. 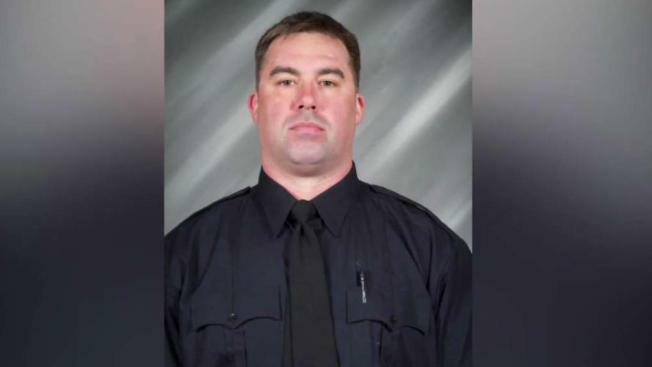 Roy's death comes a day after the seven-year anniversary of the death of firefighter Jon Davies, who was killed in the line of duty on Dec. 8, 2011. On Dec. 3, 1999, six firefighters were killed battling the Worcester Cold Storage Warehouse fire. 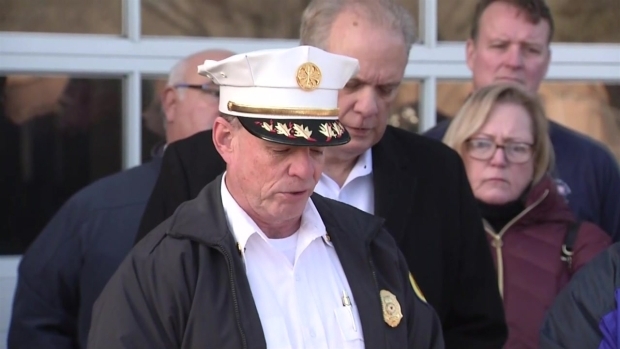 “This is a difficult day for the Worcester Fire Department and particularly painful as this is the week we remember and mourn the passing of Worcester firefighter Jon Davies and the six who perished in the Cold Storage Warehouse fire,” Lavoie said Sunday. Chief Michael Lavoie of the Worcester Fire Department provides updates on the Sunday morning fire. The Greg Will Foundation will hold an on air fundraiser for Roy on Monday. The foundation says it will match all donations up to $10,000. Officials say Roy will be transported to the medical examiner's office on Monday.